Can anyone tell me why it took me so long to read A Study in Scarlet Women? I want to bang my head against a wall because this was just amazing for me. Most of you may not know this about me, but before I was a romance reader I got through high school by reading Agatha Christie novels. A Study in Scarlet Women gave me those historical and mystery feels that I devoured in Christie's novels. I'm so excited that this is a series as it means more time for me to spend time with these characters! I'll admit that for the first 45% or so of the novel, I was unsure about where the book was heading, mostly because Sherry Thomas spent a lot of time setting up the foundation for the characters. Once that 45% mark passed though, it was all devoted to the mystery. I liked that she spent her time with introducing the characters and their motivations because it gave me time to fully understand them. If you've read anything from Thomas in the past, you know that her character development is just impressive. It was the same here. Charlotte, our lady Sherlock, was just brilliant. With her sharp mind, her realistic outlook on life and her sheer willpower made her fascinating. She may have had the same aloofness that Sherlock Holmes is known for, but I found her to be more likable than Sherlock. The way she put her reputation in tatters, then gave up her comfortable life to make a more lucrative life for herself was pretty inspiring to me, especially given how few opportunities there were for women at that time point in history. It was a fun experience watching her truly embrace her deductive skills with the help of Mrs. Watson. 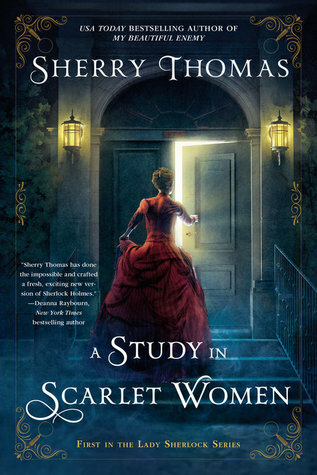 Speaking of Mrs. Watson, A Study in Scarlet Women wasn't just Charlotte Holmes story. It belonged equally to the secondary cast. Mrs. Watson, an old widow, who became a friend and later on, sponsor, to Charlotte was one of my favorites. She was such a colorful personality! I was also especially fond of Livia, Charlotte's sister, whom she had a close bond with. The romantic situation in this book was unconventional and a little bit complicated, but I liked the love interest a lot. They've known each other for a long time and it was clear that he understood Charlotte on a deep level. I'm curious to see how Sherry Thomas is going to make this romance work because it's messy. Besides the characters, I found myself being fully invested in the mystery. It was a slow-burn sort of mystery with small, but consequential revelations being made as the book progressed. I couldn't have predicted any of it and it was all very thrilling. Thomas' writing was just stellar! I loved how she was able to capture the atmosphere of historical London so brilliantly. As soon as I was done with A Study in Scarlet Women, I put a hold for the sequel. 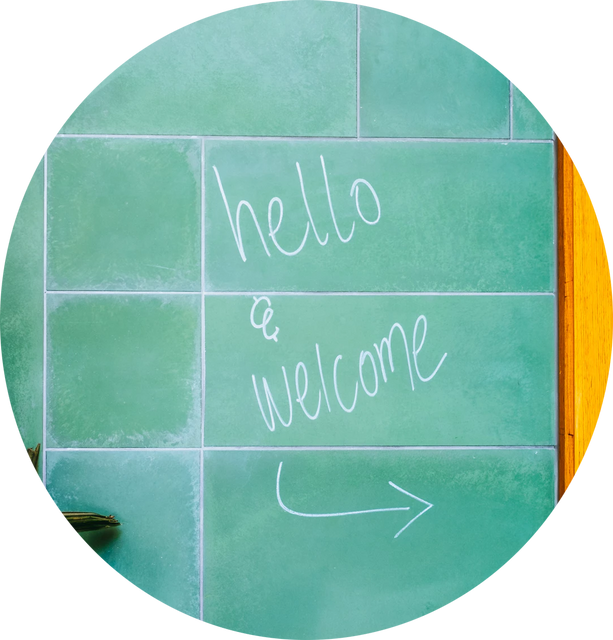 Sherry Thomas has a got a great project here with her gender-bent Sherlock Holmes and I can't wait to read more of these characters and see what other mysteries she has in store for Charlotte and Mrs. Watson! Hello, my name is Nick, and A Conspiracy in Belgravia just destroyed my shipper feels. How does this series just keep getting better and better? Sherry Thomas is obviously a magician of words - there is no other explanation! Charlotte Holmes is back dealing with another case, this time courtesy of her good friend Lord Ingram's wife. Lady Ingram has come to call on Sherlock Holmes to seek his help in finding her childhood love, Myron Finch, who didn't show up to their annual date. Myron Finch also happens to be Charlotte's illegitimate half-brother. Add in some mysterious dead bodies, intertwining cases and A Conspiracy in Belgravia was quite the trip. Charlotte was as amazing as ever. She is really coming together as a character and I've grown so fond of her - she has become one of my favorite all-time heroines. It's a fascinating experience watching Charlotte use her brainpower to solve the cases. She honestly made me feel so inferior with her cleverness! I mentioned in my review for A Study in Scarlet Women, but this series also revolves around the secondary cast. I was happy that once again, they too were at the front and center of this book. Mrs. Watson remained a faithful and entertaining companion to Charlotte. We get to see the two of them become closer friends and they are quite the treat. The one character I thought regressed was Inspector Treadles. I liked him in the first book, but here he was just a mess as he was dealing with the revelation that Sherlock Holmes was indeed a woman and that his wife had aspirations beyond being just his wife. His woe-is-me attitude was so rage-worthy and I wanted to shake some sense into him. At the end of the book, major changes were happening to his life and I'm curious to see how he is going to handle things in the next book. We were also introduced to Lord Bancroft, who proposes to Charlotte. I liked him a lot, though not as a romantic interest for Charlotte. He was very much of a stoic and powerful sort of character and I found him to be intriguing. Speaking of romantic interest, the romance is slowly starting to detangle and though there weren't many overtly romantic scenes (understandably so! ), I am not being dramatic when I say that I would go down with this ship. The tension and the potential between the two had me craving more. Sherry Thomas is totally making me wait with this romance and I think waiting just adds to my excitement and buzz. As I alluded to earlier, there were several plot-lines and mysteries in A Conspiracy in Belgravia and it was just brilliant and impressive how Sherry Thomas woved them in an interconnected way. I was invested start to finish and watching the bits and pieces come together with Charlotte's help was a whole other experience. Many truths were unfolded in A Conspiracy in Belgravia with some of them having direct impacts on the cast. I have absolutely no clue what Sherry Thomas has in store for readers, but suffice it say, I'm eager for more. 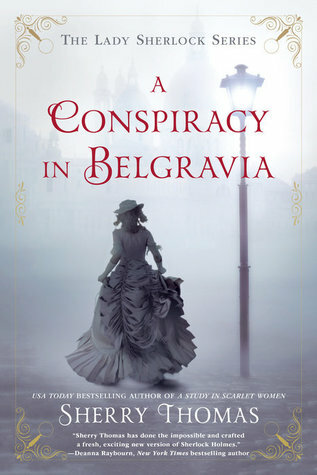 A Conspiracy in Belgravia was everything that I wanted out of this sequel and so much more. The Lady Sherlock series is fast becoming one of my favorite book series! I love how every book just leaves me dying for more. My body is more than ready for The Hollow of Fear and for my ship to sail (HOPEFULLY!). That's it. I'm dead. Sherry Thomas has destroyed me in every possible way. The Lady Sherlock books have consumed me and somehow, this series only seems to be getting better and better with every book. 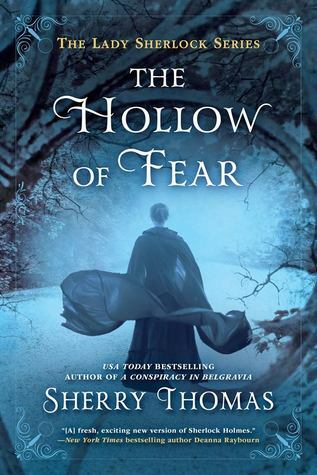 The Hollow Of Fear is my favorite installment of the series so far and I'm not sure how I am ever going to recover from the emotional whiplash this book put me through - but trust me guys, it is so worth it. The stakes were much much higher in The Hollow of Fear. Lady Ingram has turned up dead on Lord Ingram's estate and all evidence points to Lord Ingram being the culprit. It's up to Charlotte to solve the case and to help prove her friend's innocence so of course, she cross-dresses as Sherringford Holmes, brother to Sherlock, to navigate the case. Charlotte continued to awe me with her deductive skills even though I already knew just how smart she was. We not only get to see a more compassionate side to her in this book as the case was deeply personal to her but also a more playful side to her. I am just loving how thoroughly we are getting to know Charlotte's character because every part of her is amazing. I was thrilled that her friend, Lord Ingram, had a stronger presence in The Hollow of Fear. I've loved him from the first book, but I've also felt like we didn't know much about him in the previous two books. In this book, as a result of the death of his wife, his every emotion and thought was at the center of the story. I have to admit to having a bit of a fictional crush on Lord Ingram, but how could I not? He was passionate, charming and stubborn as hell in a completely endearing way. I was also happy that we got to see more of Livia in this installment. I've always enjoyed her strong bond with Charlotte. She was dealing with her own journey and I'm quite excited to see how her character is going to evolve in the future books - if that ending is any indication, it's going to be quite the uphill adventure for her. The romance FINALLY moved forward in The Hollow of Fear and guys, I just about died of happiness!!! I was ecstatic at the progress and may have screamed a teensy bit when Charlotte and her potential beau gave in to their attraction to each other. The moments were lovely, innocent and just so sweet. I have butterflies in my stomach just thinking about their interactions. I particularly loved the flashbacks to how their kinship bloomed! The Hollow of Fear was just as brilliant in the mystery department as the previous books. Lady Ingram's murder was so convoluted and shocking. I honestly couldn't foresee a thing, but when it was all revealed by Charlotte, everything clicked into place for me. Sherry Thomas is an ingenious author as every aspect of this case and how it tied to the over-arching storyline of Moriarty was executed brilliantly - she pretty much left me gaping! With The Hollow of Fear, the Lady Sherlock series has officially settled in my favorite series list. Now that I'm all caught up, I'm a little sad because I'm going to have patiently wait for the next book to release. Boo! Do you like historical mysteries? What are some of your favorites?